The rain was heavy, lashing at us as we drove towards Maida Vale, an area we used to know well but now rarely find ourselves visiting. 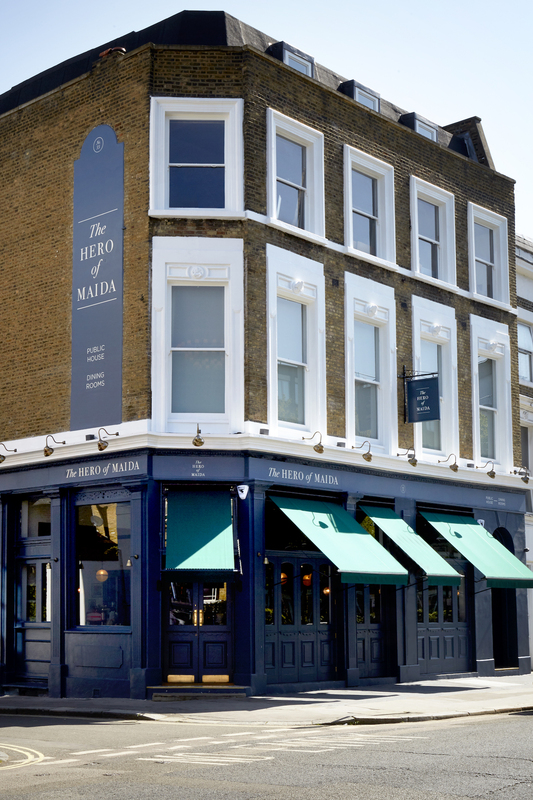 We pulled up outside The Hero of Maida, a traditional Victorian pub on Shirland Road, not far from Warwick Avenue and Maida Vale Tube stations, which is part of Harcourt Inns, a small group of pubs with dining rooms and guest bedrooms in this picture-perfect area of London. The inside was warm and welcoming, with twinkly lights perfectly capturing the pre-Christmas mood. 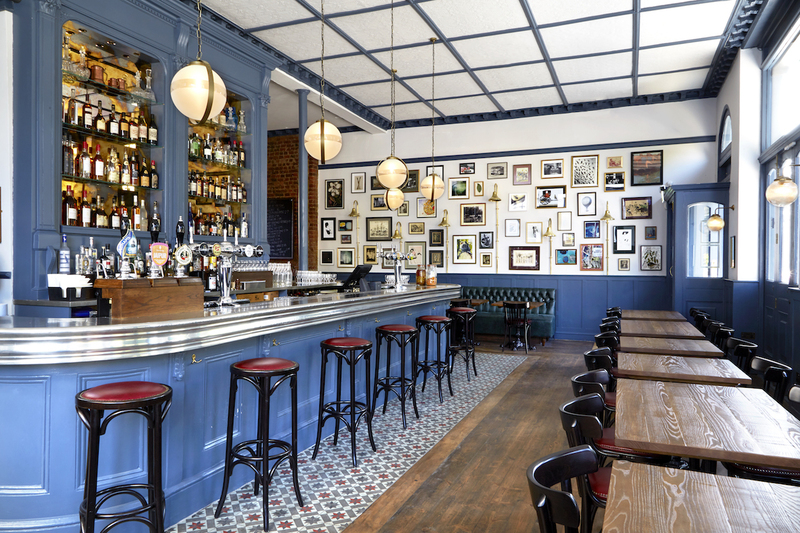 We admired the stunning geometric floor tiles in the downstairs bar area, where, among the more usual drinks and cocktails, the menu also offers independent beers from family-run breweries as well as grower Champagnes from private vineyards. The staircase leading up to the first floor dining room is lined with portraits of the pub’s eponymous hero, Sir John Stuart. As the pub’s website reveals, this “rakish” lieutenant-general quashed Napoleon’s seemingly indestructible forces at the Battle of Maida in southern Italy in 1806. Four years later, an inn named after him opened on Edgware Road, near the new Regent’s Canal. This part of London quickly became known as Maida Vale. 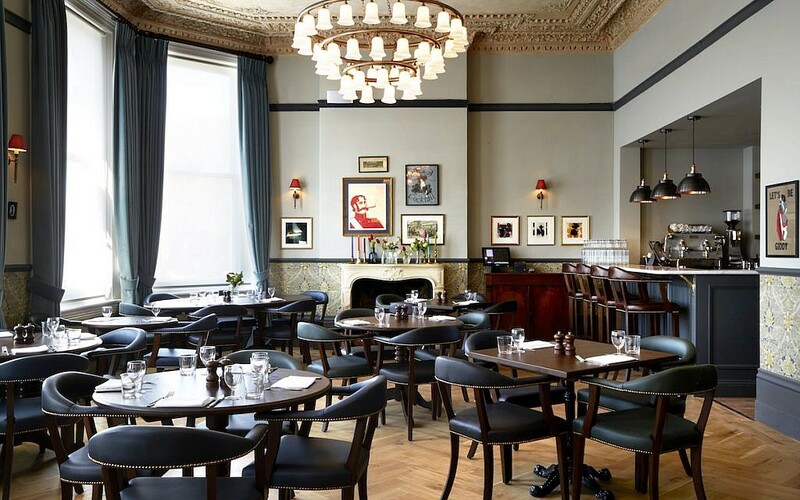 The décor is stylish, with a regal air, but without being pretentious – and credit must be given to Liana Braune, creative director of Zaffera.london, for the design. it maintains a cosy feel. (a leafy green type of chicory), salsify and pickled walnuts. For mains, we ordered the sharing platter of wild sea bass and looked forward to doing battle with the food. 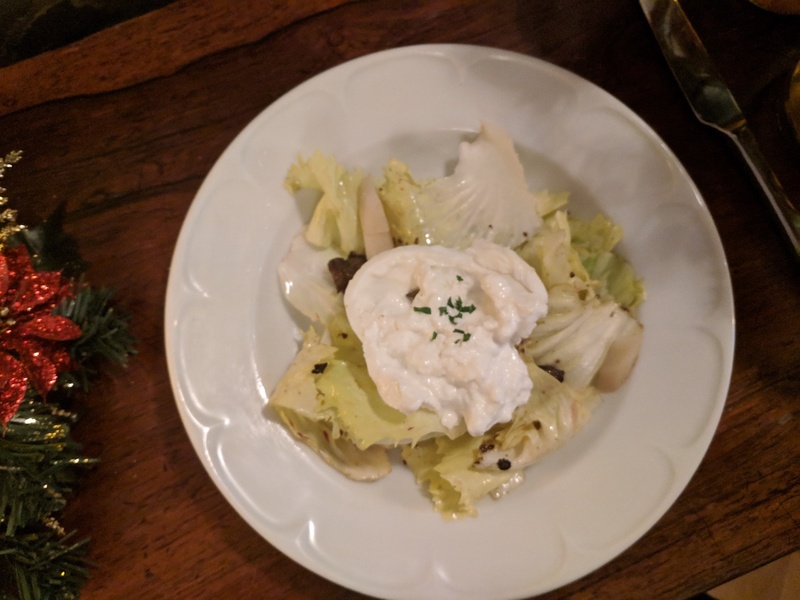 The burrata could have been a touch less cold, but was still tasty, and the pickled walnuts were lush – and incredibly unusual (I was convinced they were olives). The sea bass was delicious. Served with warm orange, fennel, anchovy and oregano salad, it was full of fresh flavours that tingled in the mouth, and made us feel virtuous enough to order pudding – warm apple crumble with crème anglaise and the Mont Blanc. 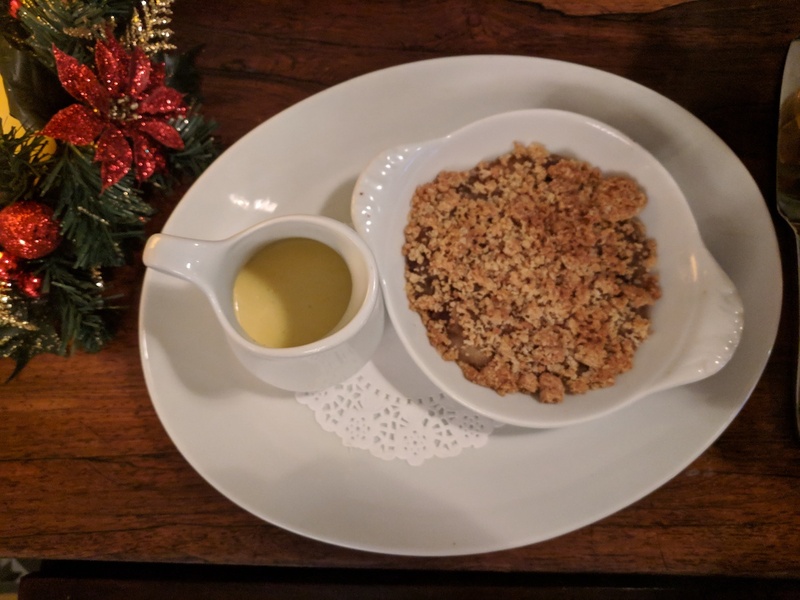 The crumble was just right – the sweet-sour of the apples contrasted beautifully with the custard (which we don’t normally enjoy, but did here). The Mont Blanc is perfect for those with a sweet tooth: pureed chestnuts infused with Armagnac atop a crisp and chewy meringue but, ultimately, we were stuffed and had to wave the white flag. 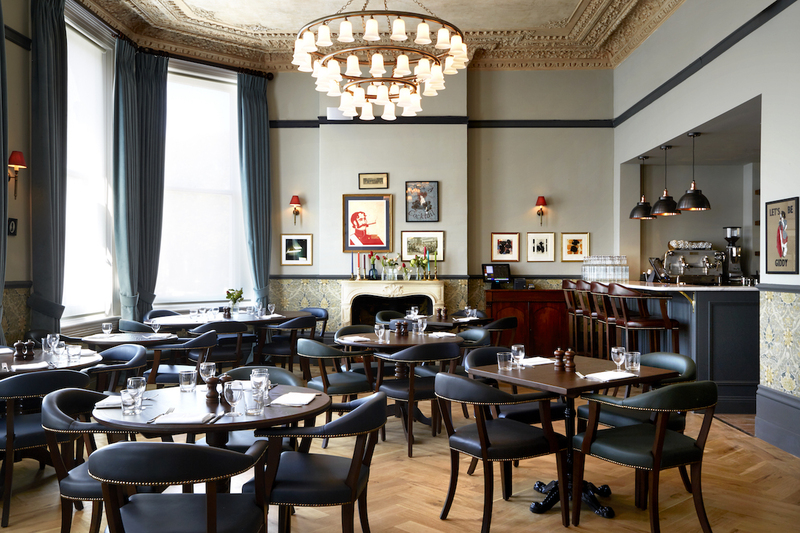 Alongside the dining room on the first floor of the building – opened in 1878 as the Shirland Hotel by a widow and her three children before being converted into a pub – are two private rooms catering to up to 40 guests. The service was extremely attentive and friendly (but not intrusive), which made an evening at The Hero of Maida a pleasure. On Sundays, the pub offers a traditional roast, including beef, chicken, and a seven-hour, slow-roasted shoulder of lamb. We’d be keen for a return visit, next time in hopefully better weather so we can sit in its courtyard garden.